Interested in Doing Well Abroad? 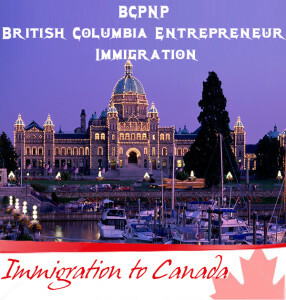 Know About BCPNP British Columbia Entrepreneur Immigration Scheme! Canada, a place that most of the immigrants find contributing, promising and filled with everything that one demands in an alien country, and whenever it comes to immigration, this is the country attracting the most attention. Almost a considerable amount of the population in the nation comprises of immigrants that completely drive the economy, with most representing from India. So, if you are also looking forward to immigration, you can definitely look forward to Canada for turning your career to a new path. This year the Citizenship and Immigration Canada (CIC), the governing body for immigration has also launched a new programme named as Express Entry or Expression of Interest (EoI). Under the programme, the National Occupation List (NOL) would be prepared and all those immigrants who are waiting to leave a trail can move to this country. There has been a specialized provision created for skilled and since this programme is meant for skilled, it will witness less amount of competition. However, that doesn’t mean that it would be an easy go for any one. Under the programme, the immigration will be facilitated under three categories: Federal Skilled Workers Programme (FSWP), Federal skilled Trades Programme (FSTP) and the Canadian Experience Class (CEC). The Comprehensive Ranking System (CRS) will assess the applicants and accordingly they would be able to move. But the Express Entry is not meant for all since it demands experience and expertise. So, if you want an easy way out, you can look forward to provincial nomination scheme and the British Columbia Provincial Nomination Programme (BCPNP) is one of the alternatives that can help you move even though you have not been selected under the Express Entry Programme. It is one of the alternatives that the Canadian Immigration Authorities have resorted to for bringing benefits to the immigrants. It is free from Express Entry and under the programme; the provinces can nominate employees that can fill the gap in the respective sectors that have been falling behind in the competition. So, to help bolster those sectors, the provinces are releasing their SOL and if any of the applicants who have applied are found to be promising, they are given the opportunity to move to the overseas hotspot under the PNP. So, if you are one among the many that wants to leave a trail and wove, you can look forward to BCPNP Entrepreneur Immigration Scheme to streamline the movement and make the Maple Leaf Country your next abode. But as a matter of fact, if you are looking forward to British Columbia as an entrepreneur, you must understand the feasibility of this place from a business point of view. In the BC, you will get most of the benefits like tax concession, benefits and other extremely vibrant opportunities that would completely take your experience to a new level. So, incorporation and many other things are streamlined in the best possible way. Hence, you can get the best benefits as an entrepreneur. But when you are moving as an entrepreneur and availing the BCPNP Entrepreneur Immigration Scheme, you must first understand the BCPNP. So, take a quick look at all the dynamics of this programme! Low taxes, competitive environment and highly skilled and productive labor allow the province to envisage a good business opportunity. So, if you want the best then you can look forward to BCPNP and it is also one of the most promising gateways that can allow getting permanent residency. If you want to start all over again in British Columbia and steer your career to a new path, you must have the requisite experience, personal net worth, adaptability and business proposal. You must have somewhat around C$6, 00,000 to avail the PNP and you must also have 2 years of experience to help simplify the movement. If you are able to ascertain this, you can look forward to the dynamics that are mentioned below.